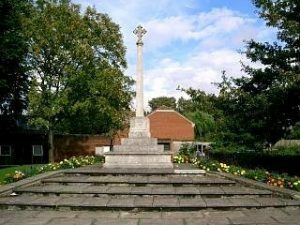 There were 66 men from Wroughton who didn’t survive the First World War and whose names are commemorated on the War Memorial and most are also on a memorial in the Parish Church of St John the Baptist and St Helen. 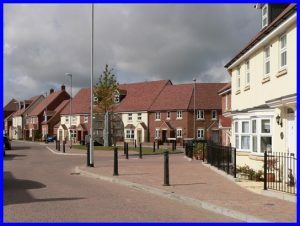 There are names of several Wroughton families, for example; the Hawkins and the Picketts, and some of whom lost more than one son or brother – like the Ashton bothers, the Freebury brothers and the Lovelock brothers. It is hard to imagine now the tragedy of losing so many men from a small community like Wroughton. They probably all knew each other, went to school together, played football together. Many probably joined up together in Kitchener’s Army, joining the Duke of Edinburgh’s (Wiltshire) Regiment, after Colonel Calley’s rousing call to arms at the Oddfellows Hall on August 31st 1914. Some are buried many miles away from home and some have no grave at all and are commemorated not only on Wroughton’s War Memorials, but on memorials as far away as Gallipoli, Iraq and Greece as well as Flanders and France. Some boys managed to get home only to die and be buried in our own churchyard. In these centenary commemoration years it is appropriate that they are remembered and honoured for the ultimate sacrifice. 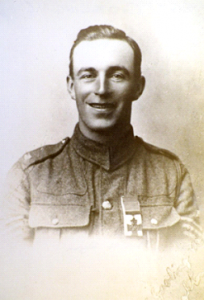 It is also fitting that we remember those who came back to their families and we have our own ‘hero’ from Wroughton who did come back – and with the most honourable award – The Victoria Cross. In 2017 we had our own commemorations in the village as a carved paving stone was unveiled as a permanent memorial to William Gosling VC and the War Memorial was refurbished. As part of the Centenary commemorations of World War I the Government has set up a scheme where communities lay commemorative paving stones in the birth place of each Victoria Cross recipient, to honour their bravery and to provide a lasting legacy within the communities of their local heroes. 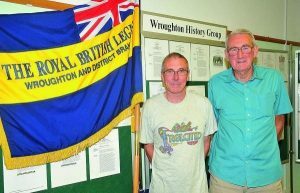 Danny Hicks of Wroughton history Group and Ian Woodford of the Wroughton Royal British Legion at the opening of the 1914 – 2014 exhibition at the library. See Wroughton History book – part 3 and Book 10 Reflections of Wroughton during the Two World Wars for sale. 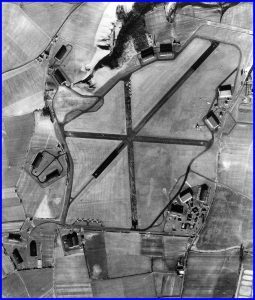 With the threat of war in the 1930s the government set up a programme of airfield building including one on a high plateau to the south of Wroughton occupied then by Rectory Farm. The initial setting out took place in May 1939 by driving a timber fence post in to the ground at each end of the proposed mile long main runway. The airfield was opened less than a year later on April 1st 1940. It was set up as an MU (Maintenance Unit ) and during the second world war some 7,000 aircraft were prepared for service at Wroughton. An RAF hospital was built alongside the airfield and was opened in June 1941. This hospital acted as a clearing station for D day casualties. After the end of the war the airfield and surrounding land was used as a storage area for surplus planes, including many large bombers which were gradually broken up, although one of the Lancaster bombers survived to be restored at Wroughton between 1963 and 1964 and become part of the Battle of Britain flight. The airfield continued as a RAF MU until 1972 when the Royal Navy took over as by then most of the work was on helicopters for which the RN was responsible. In 1992 the airfield was closed as a military establishment and the site was passed on to the Natural Science Museum to be used as a museum and also as a storage facility for many of their larger items which could not be accommodated in London. A museum was set up containing many interesting exhibits including a Comet and a Constellation air liner. The airfield was used for air displays such as the War Birds during the 1980s and 1990s, although now, unfortunately, the museum is only open on special occasions and the runways are rarely used. A purpose built store has been constructed on the airfield site to hold the Science Museum’s amazing collection of old scientific books and documents, all of which can be viewed by the public on application. 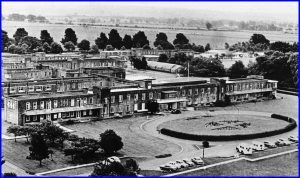 The RAF hospital continued in use after the war and when possible took in local National Health Service patients, with whom it was very popular due to its high standards of treatment and nursing. The hospital was renamed the Princess Alexandra hospital in 1967 following a visit by the Princess. It was closed in December 1995 and the site was developed to include a housing estate called Alexandra Park and a hotel and leisure centre. Recently a vast array of solar panels has been installed on the airfield to provide renewable energy.